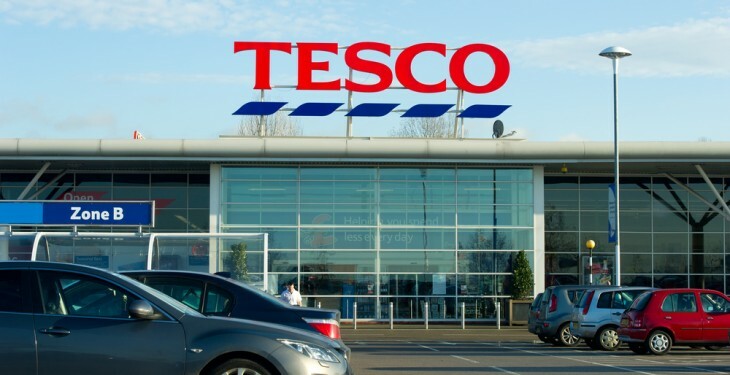 After losing out to Supervalu last month, Tesco has bitten back and is now level with Supervalu in terms of Ireland’s grocery market share, the latest figures from Kantar Worldpanel show. Tesco and Supervalu now hold 25% of the market share each the supermarket share figures that are for the 12 weeks ending April 26 show. David Berry, Director at Kantar Worldpanel, says that over the past 12 weeks Supervalu and Tesco have each captured 25% of the grocery market, with Supervalu battling to hold onto the number one position it claimed last month and Tesco aiming to recover lost ground. Intense competition between the supermarkets has resulted in more choice and better value for shoppers, highlighted by the low level of inflation and prices increasing by just 0.2%. “Many staple grocery items are now cheaper than they were last year, with the price of meat and vegetables both dropping by 3% and bread by 2%,” he says. Of the three biggest retailers, Tesco, Supervalu and Dunnes, Dunnes has posted the strongest sales growth of 3.6%, bringing its market share from 21.5% to 22%, Kantar says. It says that this increase comes despite the recent industrial action taken by Dunnes staff in the build up to Easter. With grocery sales growing in Dublin Kantar says that one of the key positives for Dunnes has been its strength in Dublin; where Dunnes accounts for over a quarter of shopper spend. 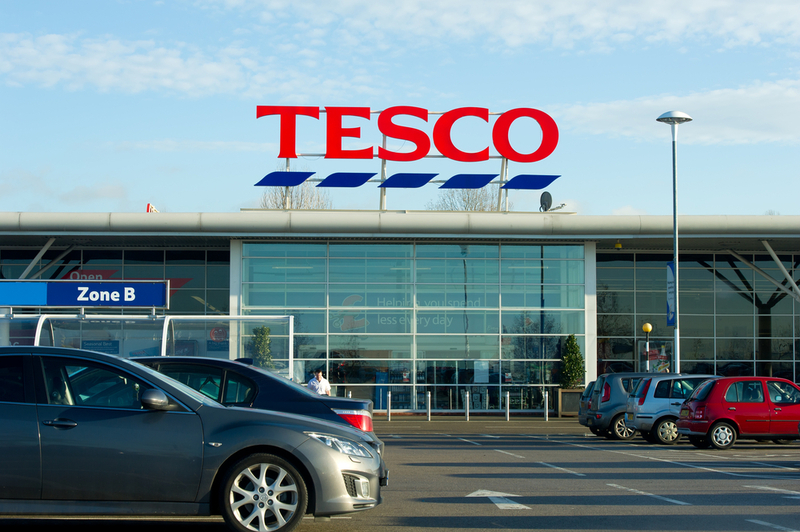 It says that while Tesco’s market share is lower year-on-year it has improved its position versus last month. Supervalu’s sales have remained in growth for the eighth month in a row, it says. Kantar says that Supervalu’s plan to open four new stores this year gives it the opportunity to grow sales further and out-perform the overall market. 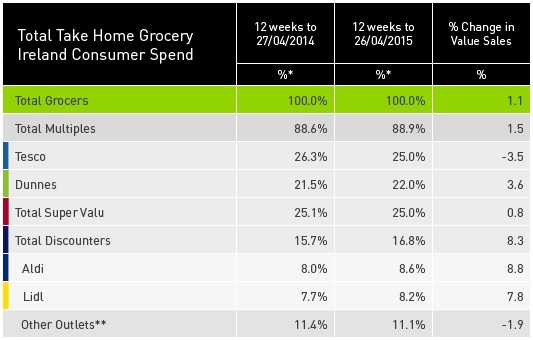 Looking at the discounters however, Kantar says that both Aldi and Lidl’s growth rates have slowed. “While the 8.8% growth posted by Aldi and 7.8% for Lidl remains impressive, this is the first time since 2010 that both Aldi and Lidl have grown their sales by less than 10%,” Berry says.